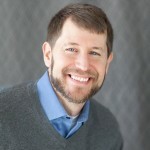 Ari Tuckman, PsyD, MBA is a frequent presenter who routinely earns excellent reviews for his ability to make complex concepts understandable and useful. He is a popular and sought-out presenter who has given over 250 presentations. He has written three critically acclaimed books:Understand Your Brain, Get More Done: The ADHD Executive Functions Workbook; More Attention, Less Deficit: Success Strategies for Adults with ADHD; and Integrative Treatment for Adult ADHD: A Practical, Easy-to-Use Guide for Clinicians. His podcast, More Attention, Less Deficit, has over 100 episodes and more than one million downloads.